For more information, please visit the membership page! The opportunity to let the general membership know of the activities of the National Board over the past year. The opportunity for amendments to the Policies and Procedures of the association put forth and voted on by the general youth membership. one Chair, Vice-Chair, secretary, and treasurer. The business of the Canadian Charolais Youth Association Conference and Show Organizing Committee shall be conducted by the executive, consisting of one Chair, Vice-Chair, secretary, and treasurer. Any member of the Conference and Show Organizing Committee or National Board may resign at any time by giving written notice thereof to the remaining members of the Conference and Show Organizing Committee or National Board. Such resignation shall take effect at the time specified therein, and, unless otherwise specified. Any member of the Conference and Show Organizing Committee or National Board so elected can be removed at any time with two-thirds majority of votes cast by the members present at any regular meeting or special meeting called for that purpose, at which a quorum is present, provided that such removal shall be without prejudice to the contact rights, if any, of the person removed. National Board members are required to attend a minimum of one meeting during the course of their term. Any National Board member who is absent at two consecutive meetings may be removed from office by two-thirds majority vote of votes cast by the remaining members of the National Board. Any Conference and Show Organizing Committee member who is absent at any two consecutive meetings may be removed from office by two-thirds majority vote of votes cast by the remaining members of the Conference and Show Organizing Committee, if they find that such absences were without plausible reason or excuse. The Conference and Show Organizing Committee and National Board shall conduct themselves in a business like manner at all Charolais functions. The CCA Youth Coordinator has the power and duty to issue warnings to Conference and Show Organizing Committee and National Board members when needed. Warnings may be issued 1) when a Conference and Show Organizing Committee or National Board member is not willing to perform assigned task(s) without good reason, 2) for general lack of cooperation by a board member. When a member receives two warnings, it is grounds for removal from the respective executive. Removal requires discussion and a two-thirds majority vote of votes cast at a regular meeting, or special meeting called for that purpose. I. Conference and Show Organizing Committee executive resulting from any cause, may be filled by a succeeding director, or the membership at large at any regular meeting. A majority vote of votes cast is required to confirm the position. II. The National Board executive resulting from any cause may be filled by a succeeding current director. If the executive officer who vacated their position is no longer able to hold even a director position or a director vacates their position, the vacant director position will be filled by the alternate from their region. If an alternate from that region is unavailable the vacant position may be filled by an alternate from one of the other regions, as chosen by a majority vote of the remaining board members. Each region shall elect one director for the first 25 members and one additional director if the provincial membership exceeds 25 (with a maximum of two directors per province), and one alternate director. National Board members shall be elected by their regional membership during the regional meetings held in conjunction with the CCYA Conference and Show and their names forwarded by their provincial association to the Youth Coordinator or National Board to be announced at the annual general meeting which will be held in conjunction with the CCYA Conference and Show. Elected directors’ term shall commence at the conclusion of the annual general meeting and shall run to the following AGM. In the case that an elected director is unable to assume their role on the board the chosen alternate will assume the position. If there is no alternate director available from the region in question, or in the case that a region does not have youth members available to fill their director position(s), the alternates from the other regions will have the opportunity to compete for the open Director position. The successful candidate will be chosen by a majority vote of the existing board members; that person will then be responsible for representing the region they were elected to, rather than their home region. The National Board Youth executive shall be comprised of a president, a vice-president, a secretary, a treasurer and an ex-officio, and will be elected by the National directors at the conclusion of the AGM. National Board members must be a minimum of 15 years of age as of January 1st of the year that their term begins. Any changes to the Competition Rules and Regulations, the Rules and Regulations of the Conference and Show, and the Canadian Charolais Youth Association Programs can be made by the National Board at any point during the year at any regular National Board director meeting. Have an active role in planning committees, responsibilities and duties of the National Board. Maintain an account at a financial institution in the name of the CCYA National Board. Pass on a complete set of financial records to the next National Board, CCA Youth Coordinator, and the CCA Membership committee for the year showing invoices, receipts, expenditures and a complete financial report for review. 1 adult advisor per region voted on by the regional membership during the regional caucus meetings held in conjunction with the CCYA Conference and Show. Pass on a complete set of financial records to the next CCYA Conference and Show Organizing Committee, the National Board, CCA Youth Coordinator, provincial Charolais Association and the CCA Membership committee for the year showing invoices, receipts, expenditures and a complete financial report for review. Pass on a complete set of financial records including receipts, returned cheques and invoices for review by the CCA and the accountant employed by the CCA. Pass along a complete record of all files from the activities, functions and business, including minutes, to the next Conference and Show Organizing Committee, CCA Youth Coordinator and CCA membership committee, as well as on the computer laptop to the next CCYA organizing committee. Shall be present and provide their assistance at each CCYA National Board meeting, CCYA Conference and Show and Canadian and Charolais Youth Association event. Signing authority of monies in the CCYA National account will be held by the National Board treasurer and the CCA Youth Coordinator. 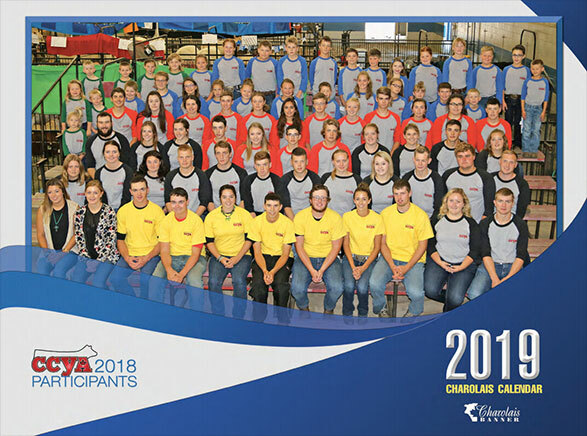 If the conference loses money, both the hosting CCYA Conference and Show Organizing Committee and the hosting provincial Charolais association are responsible for raising funds to cover all the conference outstanding expenses. The CCYA organizing committee is responsible for passing on a complete set of financial records to the National Board, CCA Youth Coordinator, and the CCA Membership committee for the year showing invoices, receipts, expenditures and a complete financial report for review no later than January 31st of the year following the conference. If the books are not completed at this time, all documentation will be forwarded to the CCA office for completion. Any expense for the time of completion will be charged to the hosting province. The CCYA organizing committee is also responsible for passing on finalized financial records including receipts, returned cheques and invoices for review by the CCA and the accountant employed by the CCA. The expenses associated with the financial review by the accountant will be covered under the conference expenses. The CCYA National Board is responsible for reporting all expenditures to the general youth membership at the annual general meeting, as well as to the CCA Membership Committee. Educational award monies will be awarded on an overall point basis at the conference. Proof of acceptance in a post-secondary education program is required. In the case that the winner of an educational award is still in high school, their educational award will be held in trust for a period of two years following the completion of their final high school diploma. If the winner of the educational award shows no desire to continue at a post-secondary institution, the funds may be used to complete other educational courses subject to the approval of the National Board. In the case that the winner had completed their post-secondary education and wishes to complete other educational courses they must take the course within one year of receiving the educational award. In the case that the youth wishes to take other educational courses the expenses incurred to take the course up to and including the value of their educational award may be reimbursed by the CCYA, in the case that the full value of the educational award is not utilized in taking the course the difference will return to the CCYA National account. Should the winner of the educational award be completed their post-secondary education, and not wish to take other educational courses they shall be eligible, subject to National Board approval, to receive their educational award monies up to one year after completing their education. It is recommended that the minimum educational award monies that are available through the conference are $1,000 and the maximum amount of monies is $2,500. The educational award monies will be held in the CCYA National account until the above proof is shown by the winner. The CCYA Conference and Show Organizing Committee are responsible for sending the monies to the CCYA National account for distribution. Any educational award monies not claimed by the winner within the given time line will remain within the National account, and will not be awarded to the next place contestant. The CCYA Conference and Show Honouree will be an individual recognized for their overall contribution to the betterment of Charolais Youth. Individuals nominated for the distinction shall not be current youth members and shall be nominated solely by participating youth members of the hosting province. By May 1st, the hosting province will have submitted three names as nominations for the honouree, to be taken into consideration by the National Boardnprior to the CCYA Conference and Show. The individual with the majority vote from the National Board shall become the honouree for that year’s conference, and shall be announced at the Opening ceremonies. A short write-up on all three nominees should be included in the catalogue for that year. A small token item to commemorate the achievement of the honouree will be presented by the Conference and Show Organizing Committee at the banquet. If a region wants to host a conference, a formal letter of request and intentions is to be submitted to the current CCYA National Board two years prior to the proposed Conference and Show.